Your Contract is Your Collateral! You've worked hard to win your government contracts. 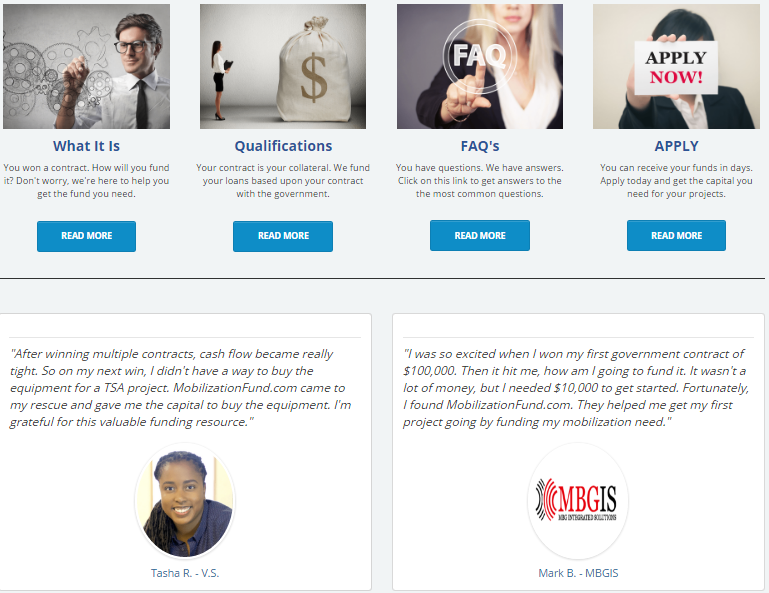 Our goal is to make it easy for you to obtain the funding you need to mobilize on it. Even if you've been turned down by banks or other lending institutions, we can still help you. We know the government market and lend with the heaviest consideration on the fact that you've won a contract.